DO YOU NEED AN EXPERT TO BUILD YOUR DREAM POOL? What’s better than enjoying year round alfresco living alongside a gorgeous pool that sparkles day and night? 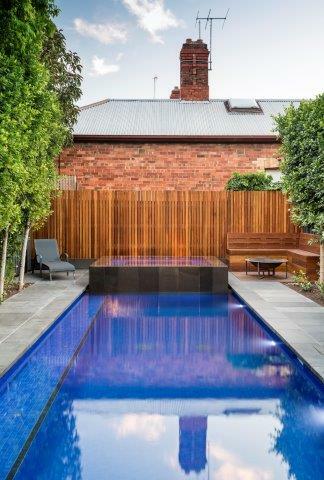 “The brief was clear: embrace the architectural lines of the home and integrate this into the pool design,” says Brett Cantwell, one of the two directors at Form Pool Designs, the Melbourne-based company that designed and built this stunning pool. rooms so it needed to be spectacular. 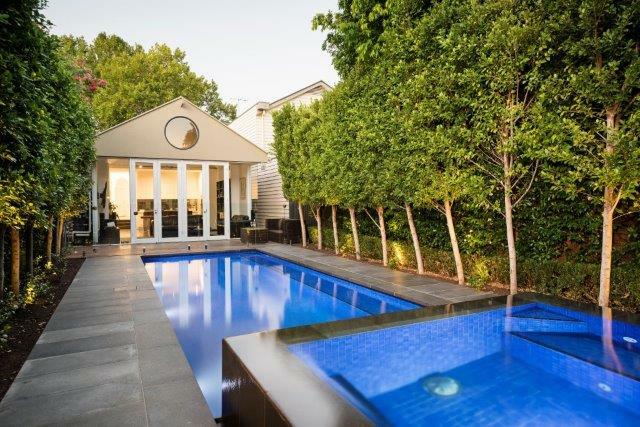 The 5m x 4.8m slim-line pool is nestled into the space between the alfresco area and the back boundary — the best position for maximum sunlight exposure and visibility from the outdoor entertaining spaces. Being fully tiled in gorgeous mosaics from Bisazza, the pool sparkles brightly in the sunlight during the day and has an iridescent and alluring ambience by night when lit with its Astral SLX LED lights. “In this outdoor area there are clearly designated spaces for entertaining, outdoor play and swimming, but all these areas flow seamlessly with each other,” says Brett. Concrete steps lead swimmers safely and easily into the pool, with the option to sit and rest here as well. 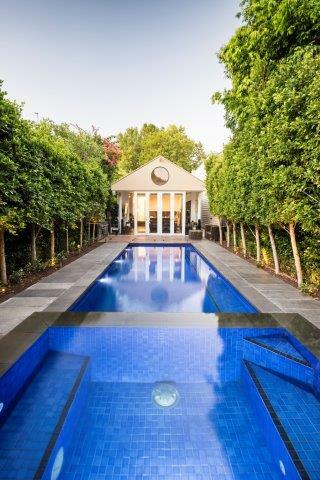 Bluestone paving surrounds the pool, creating a timeless boarder which reflects the elegant design of the home. “Nothing has been compromised when designing this pool. It’s ideal for relaxing as well as for family fun,” adds Brett. Form Pool Design builds unique and bespoke swimming pools to suit all budgets. Its process is tailored to suit each client’s needs and involves a single point of contact, from the planning phase through to the end, with personal service focusing on ongoing customer relations, reliability and integrity. Led by directors Ross Floyd and Brett Cantwell, the company’s work includes building integrated spas, sun pods, beach swim-outs, waterfalls and water features. Its design and build team specialise in concrete pools and can create standard concrete pools, concrete plunge pools, infinity-edge concrete pools and freeform concrete pools. Pool updates can also be undertaken, with the addition of lights, interiors and even changes to the shape of the pool so that it looks and performs like new. 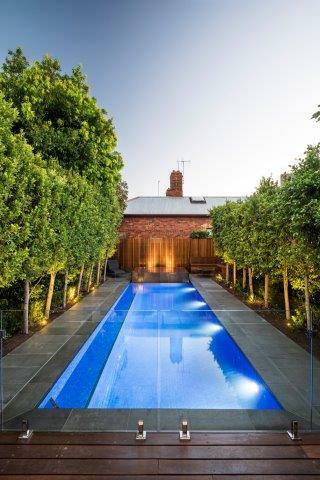 Servicing metropolitan Melbourne, the Mornington Peninsula and Geelong, Form Pool Design builds approximately 20 pools per year, with a focus on the complete outdoor experience. Form. Pool Design is a team of luxury pool designers that specialise in custom swimming pool construction and design. Taking you from design to development. 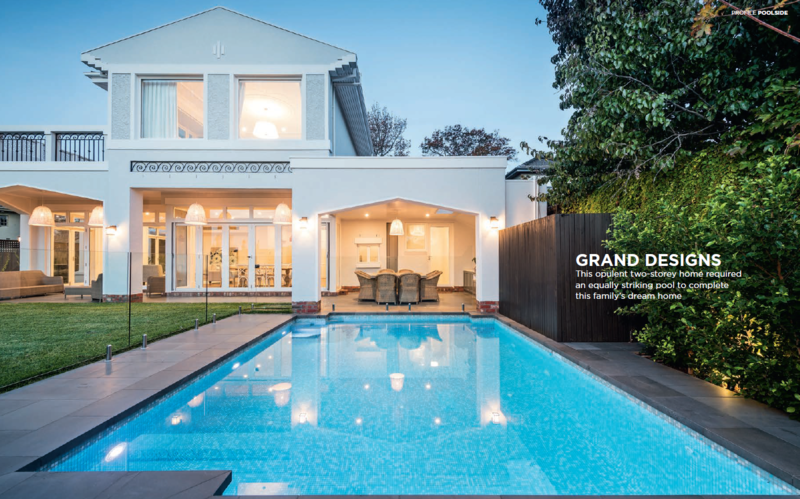 From natural swimming pools to rooftop infinity pools, the latest swimming pool design and architecture to the highest Australian standards. Form. 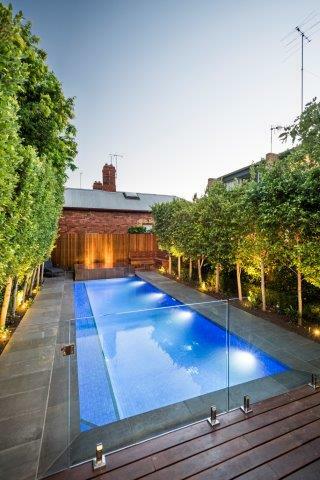 Pool Design have a wealth of experience developing pools to fit your lifestyle. We work with you to create an outdoor oasis. Are you looking for a unique and bespoke swimming pool? Form. Pool design can build it. 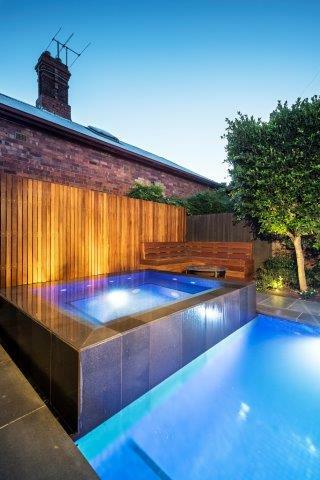 We can create superbly crafted pools to suit all budgets. At Form. Pool Designs our process is tailored to suit client’s needs. It will be a considered process with a singular point of contact from the planning phase through to the end. Brett is co-founder and Director of Form. Pool Design. 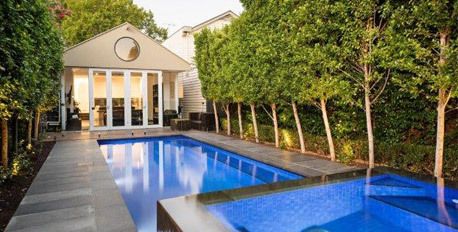 Brett has over 15 years experience in the swimming pool industry. He has built a wealth of residential and commercial pools. Brett is highly motivated and committed to building high quality projects. He takes great pride in customer service and is responsible for all facets of the project. His knowledge of the industry is unsurpassable. He liaises with the team of project managers, engineers and quality tradespeople to ensure brilliant results. Ross is co-founder and Director of Form. Pool Design. Ross is a registered Builder and brings an abundance of experience in all facets of the building industry. Ross works alongside Brett in coordinating trades, project planning and liaising with clients. Ross has an eye for detail and quality ensuring that clients’ needs are met.